I've been thinking about this beautiful essay written by Sally Clarkson concerning the teen years. "Family culture is built from the time they are born into your home–the life that is crafted, takes years to perfect, but builds strong roots. The point is, we have so much fun and life going on in our home and so many invisible threads from our hearts to our children’s, that the pull of home and the deep connections and friendships we share with our children is a stronger pull than that of the culture that would seek to draw them. Our family culture, values and commitment is much stronger and more satisfying to their souls than the lure of their culture. Our ties to each other are strong." I loved this book and read it in two days. It reminds me a little of The Glass Castle in that it is a story of a childhood filled with terrible poverty and a desperate family life, but this takes place in Mexico and California. I will never forget this book and it made me think deeply about poverty and immigration and desperation and family life and work ethics and luck, chances, education-so much in here to think about. PS. Thank you to the reader who suggested this book! A little owl is reluctant to leave the nest-beautiful illustrations and a sweet story. A little duck waiting patiently for the birth of his little sibling. Janey really loved this one. I bought a new cookbook at the bookstore on that little Sunday break (it's this one:Southern Living Home Cooking Basics: A complete illustrated guide to Southern cooking ) and I'm going to work myself through it just like Julie did with Julia. This is my attempt at escaping a summer long cooking rut. In spite of numerous soccer nights, I am DOING THIS. I must. BUT...I also know that is an excellent place to meet other parents when you are new to parenting and have little ones at home so I am not discouraging that, I just never really enjoyed the chaos. When they are old enough to understand we talk about library etiquette, mainly being quiet because everyone is reading. 3. We choose our books, maybe I will let Janey play if it is quiet for a little while, but usually we don't stay long. When I had more than one at home, I would let them (depending on age) go to their respective areas and choose what they wanted, trying to touch base with each one while I sat with the "baby" at the train table. Love that quote! Could you please share what kind of seat you used on your bike? I just got a cruiser bike for camping and need to get a seat for my daughter to ride with me. If I may, as the child of a former Children's Librarian, I say go for the story time. Many libraries have baby time - story time, with all kinds of Mother Goose rhymes and stories. This is a great introduction to the library and to literacy! Children's areas in libraries are to be used. At our library there is a little colouring area, puzzles and hand stitching activities (all quiet activities). When I take my children, I allow them to use what is available to them. We don't stay for too long, but I often get down on the floor to do a puzzle with them. I want them to know that libraries are a welcoming place to go. 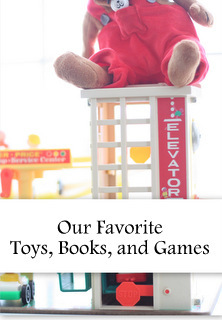 You are right Johanna-our library (and so many others also) have wonderful children's areas that are meant to be used-I remember when I was young, I LOVED the library, it was the highlight of our week, because my mom took us and let us get the largest stack of books we could carry! I'm sure that was what cultivated my love of literature from an early age. Thank you for your library tips! I went this week by myself and scoped things out. We are fortunate to have a library with a great kids' area. I'm looking forward to taking my son soon! THANK YOU for the memoir suggestion. I am always looking for a book like that. If you ever get time, please make a complete list of your favorite memoirs. I list my books on my blog also just so I will remember what I have read. I so enjoy reading more thoughts from you lately and I also love that you backed away when you needed too always keeping the needs of your family and yourself first. I have been reading along for years and I can so relate with everything you write. I just put my 14 year old twin sheets in a cedar chest because you understand you can't part with those. I too order books and puck them up at the library even though my kids are no longer young. My library puts them in a "safe" you can open with your card number so you never need to leave your car. Glorious. Could you share your experience with, thoughts of, or expectations of babysitters? Sure Elizabeth-I will try to get a post together, but I don't know if I will be of much help as we have never used sitters that much. This book has been a family fall favorite for years......http://www.amazon.com/Fall-Here-I-Love-It/dp/1561481424............every year when the weather starts cooling just a bit, I say, "Fall is here. I love it!" My kids all laugh about it (and hopefully remember fun times with books!) though they are (almost)22, 19, and 12. I even suggested it to our library years ago and they ordered one for every season. Hope you find it and enjoy it as well! my school library is loud - students researching and discussing things on computers; looking at video clips; making movies; watching a movie in a side room; checking books out; students reading/talking about books; students playing with lego/chess/board games. I could be reading to a class when a few other students wander in and use computers for work; a teacher wants something. I don't believe in quiet libraries at all - libraries these days are hives of activity and noise; toddler dance classes; makerspaces etc. I do believe in books, books, books, but libraries are so much more than that these days! Someone shared your Selfies post on FB and I had to come over to your blog... I loved catching up...but really, I just scrolled and scrolled so I could see how big your baby girl is getting. 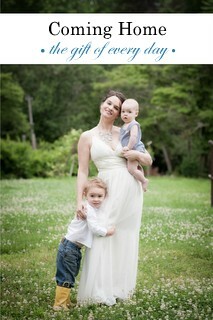 :) I've loved your blog for so long--thanks for sharing your wisdom with other mamas!